Annual herbs are herbs that complete their life cycle in only one year, unlike perennials plants that may live for years. They are usually easy to start from seeds and it’s also often easy to save seed without having to worry about any special techniques or procedures. The main thing to remember about annual herbs is that they may appreciate a well-tended garden setting more than some of their hardy perennial relatives. Although many perennial herbs are not at all picky about where they grow, annuals tend to like their soil soft and rich for easy germination. 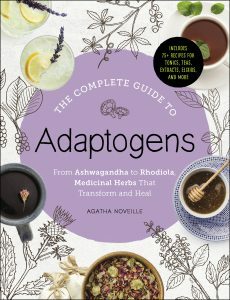 Calendula, cayenne, chamomile, roselle, and burdock are the five herbs we will look at today. This annual is a good candidate for container gardening if you only have a small space to grow your herbs, but it’s just as happy planted out in the garden. It’s best to sow chamomile seeds directly in the garden where you want them to grow. Seeds should be on the surface of the soil and lightly tamped in because chamomile is a light-dependent germinator. Here’s another article with more great tips on growing your own. This herb has beautiful orange blossoms that make it a striking addition to your herb garden or flower beds. It’s on the smallish size (usually growing just under two feet), so it’s also perfect for container gardening. Harvesting the blossoms by pinching them off of the plant just below the base of the flower will encourage your plants to produce more blooms over the course of the growing season, so don’t be shy about harvesting. It will increase your yield! 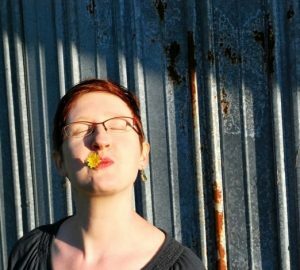 It’s best to direct seed calendula. 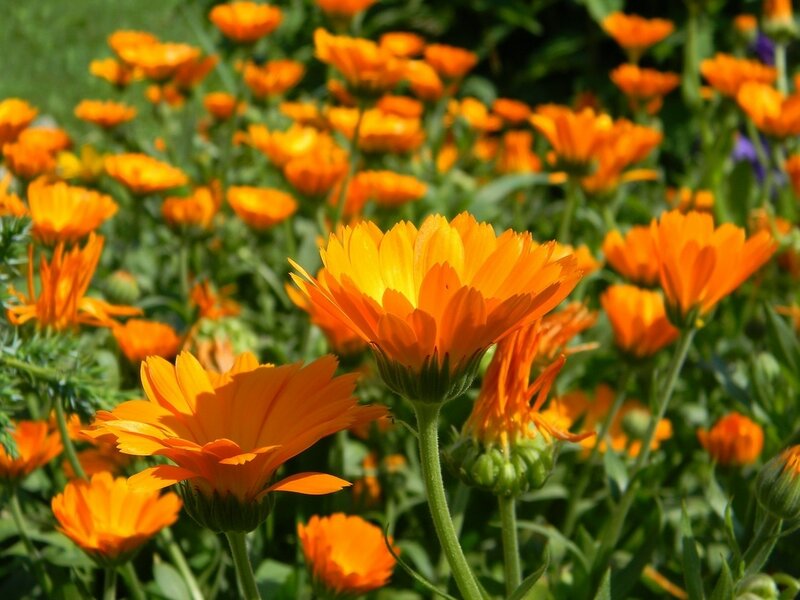 Learn more about growing calendula here. Surprise! Besides being a nice seasoning to have on hand, cayenne has a number of herbal uses. Cayenne is one of the easiest peppers to grow and even grows well in pots. They do prefer warm climates, so growing them in cooler areas may be a bit of a challenge, but it can usually be started indoors to extend a short growing season and then transplanted outside once the weather is warm enough. You can read more about them in my article The Scoop on Cayenne for First Aid. For learning how to grow your own, you can read this Cornell University guide. Roselle hibiscus is a perennial if you live in the tropics, but the rest of us can make do growing it as an annual. It needs lots of sunlight, and roselle also needs a lot of space- it can grow upwards of five feet tall – but according to University of Florida, a single plant can yield up to 12 lbs of fresh calyxes, so you only need one or two plants to have plenty! My experiences have not been that spectacular, but it does typically have good yields even during dry spells (although it definitely appreciates plenty of water). I start from seed indoors and then plant out in May. If you have ever grown okra, you will likely be quite comfortable growing roselle as they are closely related! This herb is technically a biennial (meaning that it completes it’s life cycle in two years), but you harvest burdock in the fall of the first year. Rich, loose garden soil will give you the best roots. Like roselle, it’s a big plant, but because you are only getting one root from each plant you may want to grow a few. You can use the root as a vegetable or dry it to make herbal teas and extracts. Learn more about growing your own burdock here and here. Did one of the herbs in today’s challenge strike your fancy? Spend a little time researching it further! If you are interested in growing one or more of the herbs on this list and are looking for suppliers, I usually buy my herb seeds and herb plants from Strictly Medicinal Seeds or Baker Creek Seeds. You could also spend a little time researching other annual herbs that could grow well in your area. Ohh, love this! I definitely want to try growing some Chamomile and Calendula this year.